Let’s talk about why interaction is so important in building your social media presence by growing your followers. It took me longer than it should have to realize that the content (photos, links, posts, etc) that was posted to my social media was only part of what I needed to do to gain followers. Great posts do help, but if no one is seeing them, they really do you very little good unfortunately. Interaction is one of the best ways to build your audience. 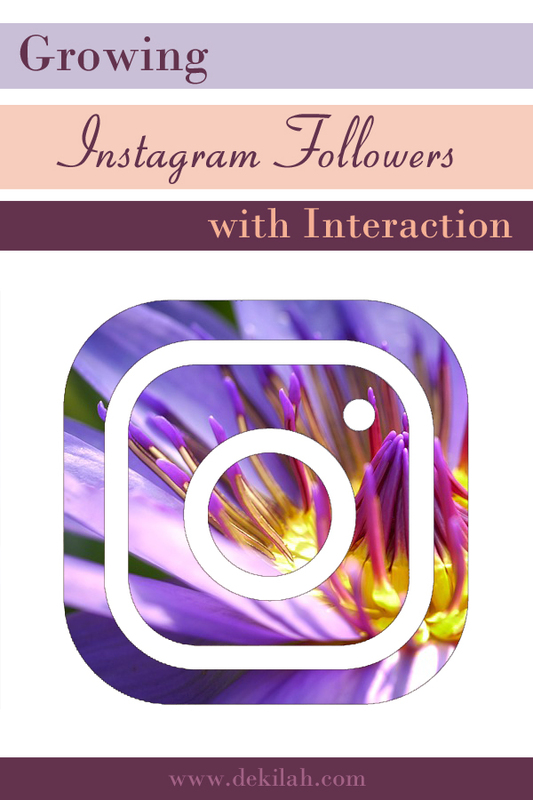 I want to share a little insight on how you can use interaction to your advantage to gain more followers. If you do these things along with posting consistently, I think you’ll see both your followers and the amount of interaction on your own posts start to grow steadily. Many of these examples are mostly centered around Instagram, but can be adapted to other platforms as well. Find people to follow and interact with. I suggest finding those who have a solid follower base meaning they have a decent amount of followers, but also that their posts are getting at least a few comments. You may come across people with 10k followers, but if they aren’t getting a dozen or so comments on most posts, it’s likely that a lot of their followers are fake or inactive. Side Note: That last bit is why follow/unfollow and paying for followers isn’t useful. You need people who are genuinely interested in what you do and who are going to interact with you (comment and like your posts, and hopefully support you/hire you/purchase from you) and people who just follow you because you followed them or fake followers aren’t going to do that. Interact with those people in a genuine way. Focus on leaving genuine, supportive comments and avoid trying to bring the focus to yourself (as in: “This photo is so hot! If you like hot ladies, check me out!” or “If you like this post, you should follow me!”). Simply commenting will make you visible to their other followers looking at the post. You’re also giving a little back to the person you’re interacting with too because comments tend to boost posts a bit. Keep in mind that it will take time to begin to see results in your followers number. Keep at it and you will almost definitely see results. I suggest setting aside a certain amount of time a day or a certain number of posts to comment on each time you check the app. Respond to as many comments as you can. At least respond to those that seem well thought out, those asking questions, and those who comment often. Try to answer all of the messages you get unless they are inappropriate. I’ve gained quite a few loyal followers by simply responding to their initial messages to me. If it turns out that they’re looking for something inappropriate, you can always stop responding. Like a few posts by those who comment on your posts, especially as you are starting to build your follower base. It keeps you in their mind and they might come back and comment again. So there you have it, my tips on growing an organic follower base. I’m still working on mine, but I’ve seen steady, constant growth since I’ve been doing these things. Do you have any other tips? Feel free to share them in the comments. Oh, and don’t forget to follow me on Instagram here! If you found this blog post helpful, please consider donating via the buttons at the bottom of the page.